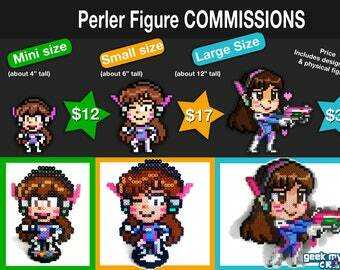 Announcement We specialize in custom video game, comic, cartoon, and Anime-inspired pixel art pins and Perler bead sprite crafts to geek up your home! 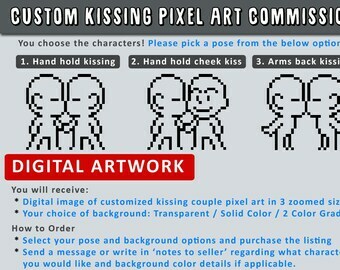 Looking for our custom geek & gamer wedding items? 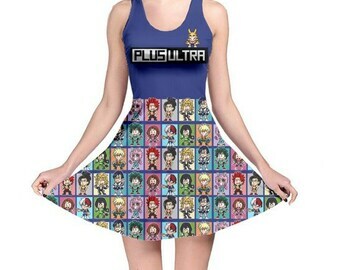 Check out our sister shop: geeksatheart.etsy.com. 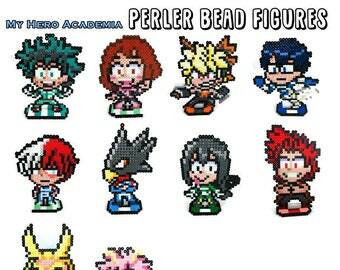 We stock a color assortment of fuse beads from 3 different companies to ensure our Bead Sprites look their very best and are unique from the rest! Custom orders are always welcomed for both Perler beads and pin buttons! We specialize in custom video game, comic, cartoon, and Anime-inspired pixel art pins and Perler bead sprite crafts to geek up your home! 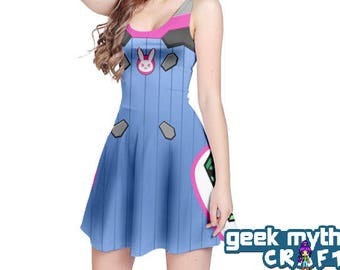 Looking for our custom geek & gamer wedding items? Check out our sister shop: geeksatheart.etsy.com. 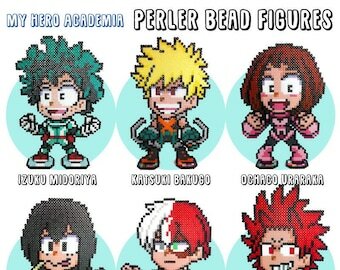 We stock a color assortment of fuse beads from 3 different companies to ensure our Bead Sprites look their very best and are unique from the rest! 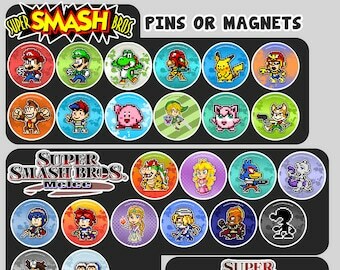 Street Fighter Pixel Art Buttons | 1.5"
Bendy and the Ink Machine Buttons | 1.5"
My Hero Academia | Boku no Hero | Anime Pixel Art Pin Buttons | 1.5"
Pins, pins, and more pins! 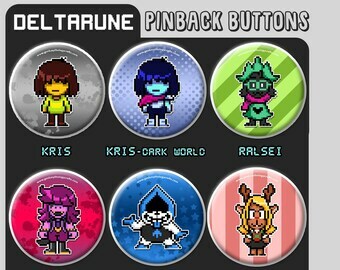 You may know Geek Mythology for our Perler bead figures, but we have been expanding into the realm of pins and magnet buttons with our original pixel art designs! 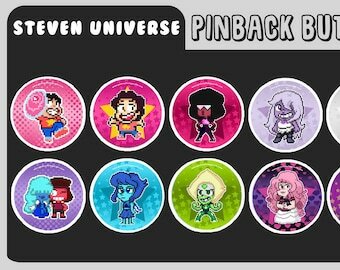 Here's a batch of Steven Universe-inspired pins! Vilsy & JJ have been artists since the beginning of time. With backgrounds in illustration, character design, and animation, art is one of their favorite things! Also video games. They have been gamers for almost as long as they've been artists! 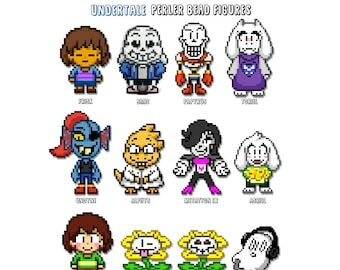 In 2008, after discovering Perler Beads, they started creating video game Bead Sprites and have been making them ever since. 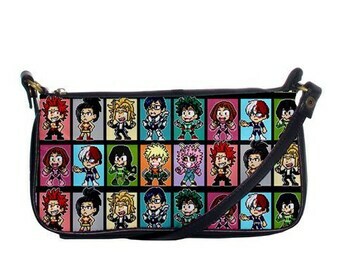 They're huge fans of cartoons, Anime, comics, and other geeky subject matter, and are determined to stay kids at heart for pretty much forever. 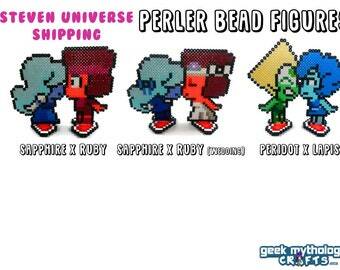 They strive to design and create the coolest, geekiest crafts for you and love to take custom commissions for their pixel bead art. They're always looking to add new and interesting products to their shop, so please come back and visit often! 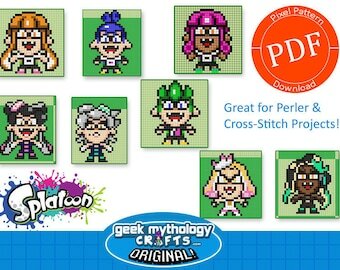 Vilsy started "Geek Mythology Crafts" in 2008 to express her love for pixel art, video games, Anime and cartoons. 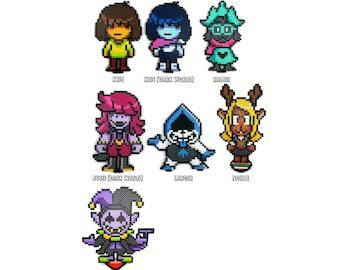 She designs original pixel sprite patterns for many of the bead sprites in the shop! She's always happy to take a custom design order! JJ is a video game enthusiast and an aspiring author. He has designed some of the sprites in the shop and is the primary (and super fast) assembler of the Perler Bead sprites. He's always sure to build your sprite with quick and careful hands!